Quais são as diferenças específicas de aprendizado? Vários termos são usados ​​para descrever alunos com dificuldades de aprendizagem em diferentes partes do mundo. Neste breve artigo, mostramos algumas das maneiras pelas quais as dificuldades de aprendizagem são agrupadas e definidas no Reino Unido e nos Estados Unidos da América. Estes sub-tipos de dificuldades de aprendizagem representaram diferentes áreas do desempenho acadêmico que também influenciam a vida das pessoas fora da escola. Verificou-se, no entanto, que existe uma considerável sobreposição entre estes tipos de dificuldades de aprendizagem. Isso tornou muito difícil diferenciar os vários subtipos de maneira confiável. Essa definição inclui dislexia, dispraxia, discalculia e transtorno de déficit de atenção. A Associação Americana de Psiquiatria tomou uma decisão semelhante no DSM-5 (Manual Diagnóstico e Estatístico de Transtornos Mentais – American Psychiatric Association, 2013) e agrupou diferentes dificuldades de aprendizagem sob o termo “transtornos de aprendizagem específicos” (SLD). O SLD na leitura inclui dificuldades de leitura no nível da palavra (isto é, dislexia) e dificuldades na compreensão da leitura em nível de texto. SLD em matemática é equivalente a discalculia na definição de SpLD utilizada no Reino Unido. O SLD, por escrito, está preocupado com a exatidão ortográfica, precisão gramatical e pontuação e clareza e organização da expressão escrita, e sua contrapartida no Reino Unido é disgrafia. No DSM-5, o transtorno do déficit de atenção e hiperatividade (TDAH) é classificado nas doenças do neurodesenvolvimento, juntamente com os Transtornos do Espectro Autista (TEA). TDAH e TEA não pertencem diretamente ao grupo de LLDs, pois seus efeitos impactam áreas mais amplas da vida cotidiana, não apenas aprendendo dentro e fora dos contextos escolares. Various terms are used to describe students with learning difficulties in different parts of the world. In this brief article we show you some of the ways in which learning difficulties are grouped and defined in the United Kingdom and in the United States of America. These sub-types of learning difficulties represented different areas of academic achievement which also influence people’s lives outside school. It was found, however, that there is a considerable overlap between these types of learning difficulties. This made it very difficult to differentiate the various sub-types in a reliable manner. This definition includes dyslexia, dyspraxia, dyscalculia and attention deficit disorder. The American Psychiatric Association took a similar decision in DSM-5 (Diagnostic and Statistical Manual of Mental Disorders – American Psychiatric Association, 2013) and grouped different learning difficulties under the umbrella term specific learning disorders (SLD). SLD in reading includes word-level reading difficulties (ie dyslexia) and difficulties with text-level reading comprehension. SLD in mathematics is equivalent to dyscalculia in the SpLD definition used in the UK. SLD in writing is concerned with spelling accuracy, grammar and punctuation accuracy and clarity and organisation of written expression, and its counterpart in the UK is dysgraphia. In DSM-5 attention deficit and hyperactivity disorder (ADHD) is classified under neurodevelopmental disorders together with Autistic Spectrum Disorders (ASD). ADHD and ASD do not directly belong to the group of SpLDs as their effects impact wider areas of everyday life, not just learning in and outside school contexts. Segue um glossário com uma lista de termos usados na confecção de um plano de aula eficaz, necessário para uma boa aula com a interação e motivação do aluno. What the teacher wants to achieve in the lesson or in the course. The main aim is the most important aim. The aim or purpose of a stage, step or short section of a lesson. The secondary focus of the lesson, less important than the main aim. It could be the language or skills learners use in order to achieve the main aim of the lesson, or a skill or language area which is practised while the teacher is working on achieving the main lesson aim. What the teacher would like to improve in his/her teaching. When teachers are planning a lesson, they think about what their learners might find difficult about the lesson and about how they can help them learn more effectively at certain points in the lesson. When teachers think about what they believe their learners will or will not know or how they will behave in a particular lesson. A description of the learners and information about their learning, including their age, ability, strengths and weaknesses in language and skills. The different ways learners and the teacher work together in class, e.g. learner to learner in pairs or groups, or teacher to learner in open class, in plenary. When teachers plan lessons, they think about interaction patterns and write them on their plan. A breakdown of vocabulary and grammar covered in the lesson which provides information about the structure of the language, what it means and how it is used. A set of actions that describes the way to do something. Teachers write lesson plans and provide details of exactly what is going to happen in each stage of a lesson. The details of the different actions are the procedures of the lesson. The materials or tools which teachers use in class to help learners learn. A section of a lesson. Lessons have different stages or steps such as lead-in, presentation, practice. Teachers plan timetables which provide details of the lessons they will teach in the near future. Timetable fit is about how a lesson fits logically into the sequence of lessons in a timetable. The likely time different activities or stages in a lesson plan should take. When teachers plan lessons, they think about how long each activity will take and they usually write this on their plan. This is when teachers identify and address the different needs, interests or abilities of their learners by providing a range of activity types and using a range of approaches. This is the commonly accepted abbreviation for teacher talk time and refers to the amount of time in a lesson that the teacher talks to the learners. It is important that TTT is helpful to the learners. This is the commonly accepted abbreviation for student talk time and refers to the amount of time in a lesson that the students talk. There needs to be a balance of TTT and STT in a language lesson. This is when teachers use language they know the students have already studied to ease the cognitive load. This can be done by avoiding informal, colloquial language or complex grammar structures. When the teacher asks learners questions, or prompts them, to come up with ideas or language. It can be used to activate their existing knowledge of a language point in order to base new knowledge on what they already know. When the teacher observes learners during an activity to check their understanding of the activity and assess their progress. This happens at the end of the activity cycle when the teacher gives the learners feedback on their performance by going through the answers with the class and/or finding out what they have talked about. This stage can be used for further clarification if the learners still need help with the language point. •	speaking clearly and ensuring that the students can see their face and lips. •	adjusting the volume for listenings and videos. •	using short films and videos which aid listening comprehension as students can see the face and lips of the speakers. •	ensuring that your classrooms have little background noise. •	Use a larger print type for printed text. •	Make sure that senior students sit as close to the board as possible. •	Write very clearly on the board. •	Ensure that classrooms have a lot of natural light and that there is direct lighting for the whiteboard. •	Ensure that older learners have comfortable chairs and tables. •	Allow more time for older students to do whole class communicative activities where students have to stand up and move around the classroom. •	Integrate memory exercises into classes. Use visual and auditory mnemonic devices, examples and memory associations to help seniors rehearse and later retrieve vocabulary and expressions from long-term memory. •	Systematically repeat and recycle grammar, vocabulary and expressions. •	Encourage students to draw on their wealth of experiences and to use cognitive strategies they have used successfully in the past in their current language learning environment. •	Allow more time for students to produce language without being interrupted. •	Find out what our older learners’ motivations are for learning a language and adjust our methodology accordingly. •	Use humanistic techniques to build empathy between the teacher and students, and among the students. •	Reduce the focus on error correction to build learners’ self-confidence and to promote language production. •	Avoid timed tests which may make senior learners anxious. •	Give senior students more time to complete activities. •	Promote a friendly and relaxed atmosphere in the classroom. Studies have shown that getting outside in nature improves well-being, and you can also gain perspective from spring’s visual cues. For example, in fall, the changing leaves are a reminder of impermanence—just as they change colors and fall from the trees, so will whatever is stressing you out. Be the tree and let what is temporary fall away. 2. Focus on small tasks. Practice mindfulness as you complete the smaller things on your list—housework, paperwork, yard work. Focus fully on what you are doing right here, right now, checking in with all your senses as you do your tasks. If your thoughts wander to something bigger looming in the future, gently guide your mind back to the task at hand. By staying in the present moment, you stop giving importance and attention to your past or future worries. 3. Watch or read something silly. Entertainment is more than an escape. Studies have shown that laughter reduces the release of stress hormones in your body. Catch a silly movie, or read the latest book from your favorite funny guy or gal. Studies have found that singing has a positive impact on affect and anxiety, and may even reduce depression. So turn up the music and sing along or gather some friends for karaoke—if nothing else, it will make you laugh (see tip 3). 5. Try a basic breath practice meditation. 1. Faça uma caminhada pela natureza. Estudos demonstraram que ficar afastado na natureza melhora o bem-estar, e você também pode obter uma perspectiva das sugestões visuais da primavera. Por exemplo, no outono, as folhas que mudam são uma lembrança da impermanência – assim como eles mudam de cores e caem das árvores, assim como tudo o que forçá-lo a sair. Seja a árvore e deixe o que é temporário cair. 2. Concentre-se em pequenas tarefas. Pratique a atenção plena ao completar as coisas menores na sua lista de tarefas domésticas, papelada, trabalho de quintal. Concentre-se totalmente no que você está fazendo aqui mesmo, agora mesmo, checando com todos os seus sentidos enquanto faz suas tarefas. Se seus pensamentos vagarem para algo maior que se aproxima no futuro, leve sua mente de volta à tarefa em questão. Ao permanecer no momento presente, você deixa de dar importância e atenção às suas preocupações passadas ou futuras. 3. Assista ou leia algo bobo. O entretenimento é mais do que uma fuga. Estudos demonstraram que o riso reduz a liberação de hormônios do estresse em seu corpo. Pegue um filme bobo, ou leia o último livro de seu cara engraçado ou galão favorito. Estudos descobriram que o canto tem um impacto positivo sobre o afeto e a ansiedade e pode até reduzir a depressão. Então, aumente a música e cante ou colecione alguns amigos para karaokê – se nada mais, isso fará você rir (veja a dica 3). 5. Experimente uma meditação básica de respiração. Um Pouco de Sabedoria por Diana Princesa de Gales. “Realize um ato aleatório de bondade sem expectativa de recompensa, sabendo que um dia alguém pode fazer o mesmo por você”. “A família é a coisa mais importante do mundo”. “Todos nós precisamos mostrar o quanto nos cuidamos e, no processo, nos cuidamos”. “Eu quero que meus meninos tenham uma compreensão das emoções das pessoas, suas inseguranças, angústia das pessoas e suas esperanças e sonhos”. “Os abraços podem fazer grandes quantidades de bem – especialmente para crianças”. Segue um texto para treino de leitura e compreensão sobre um tema bastante atual. Bullying can be found in every school. It is often part of how young people interact in our society. Each school must recognize the extent and impact and take steps to prevent that from happening. When bullying is ignored or underestimated, students will suffer permanent torment and harassment. It can cause lifelong damage to the victims. Both bullies and victims are more likely to become criminals. A failure of the school to deal with bullying endangers the safety of all its students, allowing a hostile environment that certainly interferes with learning. There is clear evidence that school can dramatically reduce the incidence of bullying. We need to make schools free of bullying, take immediate action; every student has the right to a safe environment free from bullying. Scientific studies show that bullying is an international problem that affects all schools. There is a remarkable similarity in the incidence of bullying from country to country and from school to school. Bullying knows no international boundaries, socio-economic status or ethnic boundaries. This usually has three common characteristics: it is a deliberate and hurtful behavior is repeated and it is difficult for those being bullied to defend themselves. 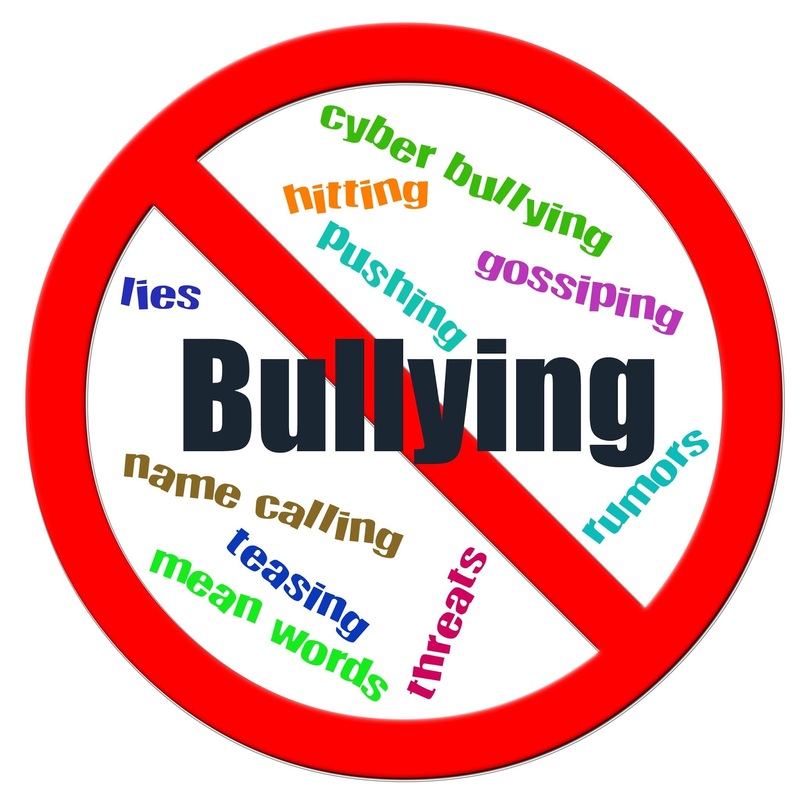 There are three main types of bullying: physical type: hitting, kicking, taking belongings; verbal type: name calling, insults, racist comments and indirect type / emotional: spreading nasty stories, excluding groups. Students bullied are typically passive or become so because of intimidation. Avoid concentrating the focus on the shortcomings of the victim of bullying. Focus on the immediate problem is that the behavior of the aggressor. The objective of any intervention must stop the abuse immediately. Make sure that the abuser changes his behavior. Provide support for the victim, ensuring the same access to an environment free of bullying at all times. Not only the teacher, but all school staff must be committed to a common response to bullying when it happens, because immediate action is crucial. Clear procedures should take place when a case of bullying is discovered. The school needs to provide the necessary support for the individual teacher, so that he is able to maintain a classroom environment safe. There should be clear guidelines that stipulate that teachers have responsibilities when it comes to a case of bullying. A teacher who is conscious of their role should observe when a student is isolated, sad and should seek the reasons for this. Teachers must recognize that a safe classroom is the most effective way to develop a positive learning environment free from bullying.